Good idea! We are a small restaurant. Please do not call and email, in order to avoid confusion. We will call or email you back to confirm your reservation. Reservations taken no more than one month in advance. Which date were you hoping to visit us? If you have a preferred time to dine let us know below so we can confirm if we have a table available. Prefer to make a reservation by phone, or looking for a gift card? The new route via the Westshore Parkway makes it quick and easy to get to Sooke from either up Island or Greater Victoria. 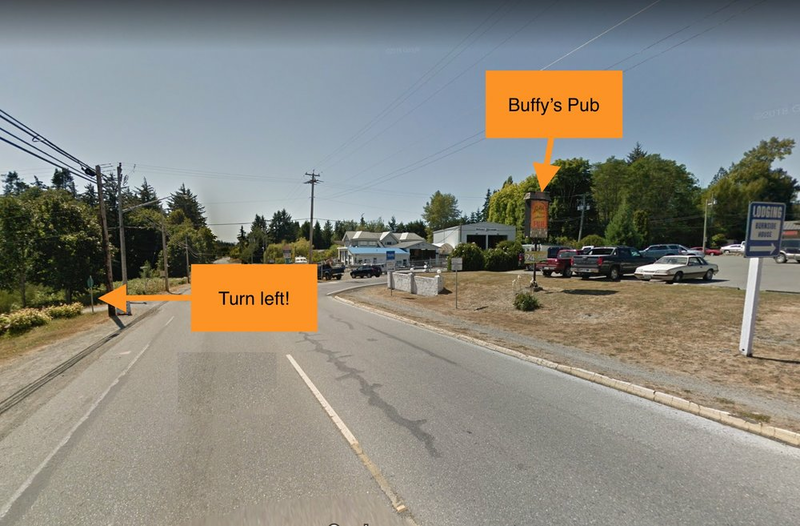 We are only a few minutes drive past downtown Sooke on Highway 14, with a left turn on Maple Street, just opposite Buffy's Pub. Thank you! We will get back to you as soon as possible. Thanks for understanding if we do not reply during dinner service.